The most important thing to understand about acne may go against anything you thought you might know about the prevalent problem—acne is not caused by anything you might be “doing.” Despite all the rumors or myths about chocolate being the culprit or bad hygiene habits, acne is a complex condition attributed to hormones and genetics that at times can be aggravated by stress. To comprehend where acne comes from you have to be familiar with the genetic makeup of skin. Sebaceous glands are located deep in the skin. 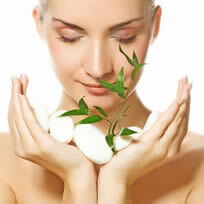 These glands are responsible for producing the skin’s natural oils called sebum. In fact, sebaceous glands can be considered “oil glands”. Each oil gland happens to be connected to a canal containing hair, called a follicle. The oil reaches the surface of the skin through the canal to saturate the hair follicle and surrounding skin. The opening of this passage is considered a pore. Sebum production is triggered by hormones. When hormones fluctuate, usually during a period of stress or puberty, oil glands become overactive; this is where acne begins. Excess oil disrupts the normal flow of the oil and then the blocked oil becomes trapped in the pore–causing acne to develop. Pores are typically blocked by skin cells that haven’t shed yet, although the exact cause of the clog is unknown. The development of acne is clearly not an overnight process. Acne actually starts several days and even weeks beneath the skin before it surfaces or breaks out. Although bacteria do not cause acne alone, they do play a role in the formation of acne. Natural bacteria is already on your skin. However, when oil is trapped and the pore is clogged the bacteria begin to grow in the blocked hair follicle. The Postgraduate Medical Journal states clearly that “blockage of sebaceous glands and colonisation with Proionobacterium acnes leads to acne” and sometimes inflammation. Inflammation is characterized by swollen, red, and uncomfortable skin. Typically inflamed skin is a result of the body’s way of attempting to get rid of something foreign. 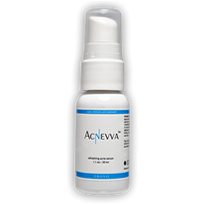 When acne manifests itself as irritation, the body is trying to get rid of the bacteria. Research from the Journal of the American Academy of Dermatology identified that the “clinical characteristics of acne vary with age, pubertal status, gender, and race.” All types of acne are caused by the same reason, but how the acne develops determines the severity of the problem. As a brief overview, blackheads are clogged pores close to the surface and have dark faces due to dark pigments, not dirt. Whiteheads happen to be deeper in the pore. Without a way to drain the oil, the white bump appears and often leads to inflammation. Other types of acne include pustules which are caused by a ruptured blocked follicle and cysts that indicate a more intense infection. The parts of your body with the highest concentrations of sebaceous glands tend to have more acne. The face, chest, upper back and shoulders have the most oil glands, making them hot spots and common problematic areas. Acne is a chronic condition because it can last for years. Battling blemishes is not just a teenage trauma it plagues adults just as easy. The bottom line is that the problem exists before an actual breakout so there is no absolute cure. 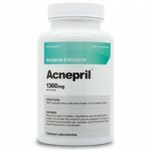 Instead, acne treatments are designed to help keep blemishes at bay.